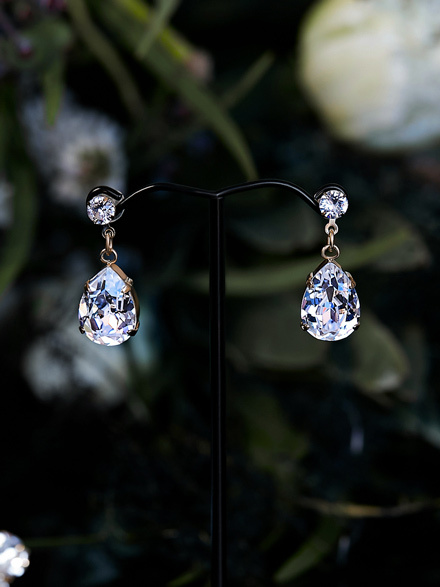 These darling bling wedding earrings are just enough to compliment your other wedding jewelry pieces. A round stud top with a tear drop swarovski crystal drop. Choose your own colour, in gold or silver. These little beauties may be small but they are full of bridal bling! 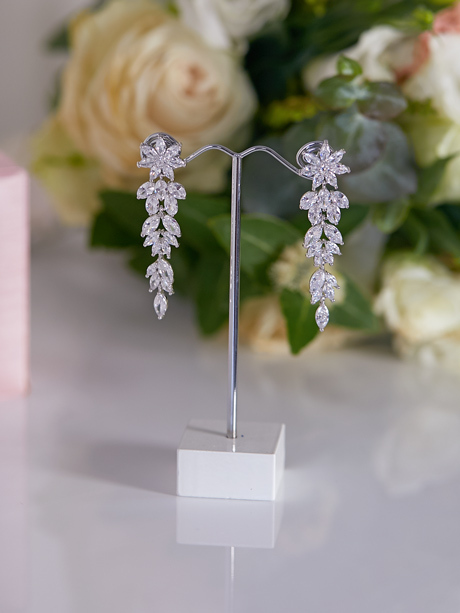 The perfect Bling wedding earrings to match your type of wedding day glam! Match with our sparkletastic bling hair comb. Who say’s these are just for your wedding day! Wear to any event or even to a wedding as a guest. 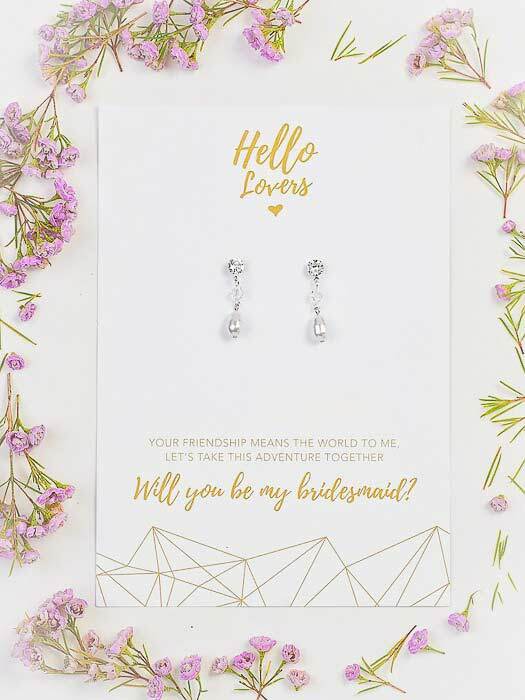 The Bling event or wedding earrings come packaged in our signature pink Hello Lovers Australia keepsake box. Why not gift these quality earrings to your family and friends. Hello Lovers Australia affordable bridal jewellery that is unique.